Tear it up off the beaten trail with a guided ATV tour through some of Mexico’s most picturesque backcountry. Take a 30-minute drive through the enchanting jungle to a freshwater sinkhole (also known as a “cenote”), where you can zipline and go for a dip into the water. From here, you’ll cruise on out for another 45 minutes to another zipline circuit! We’ll bring that unforgettable day to a close with a late lunch buffet of fantastic local cuisine, including grilled chicken, rice, beans, a salad bar, corn chips and hot sauces. Es muy bueno! The El Camaleon Mayakoba is a masterpiece as unique as its creator (the legendary and world renowned Australian golfer Greg Norman) featuring three diverse ecosystems: the tropical Mayan jungle, mangrove wetlands and the beach. This 18 hole, par 72 layout plays along several miles of crystal clear fresh water canals surrounded by mangrove and limestone walls. 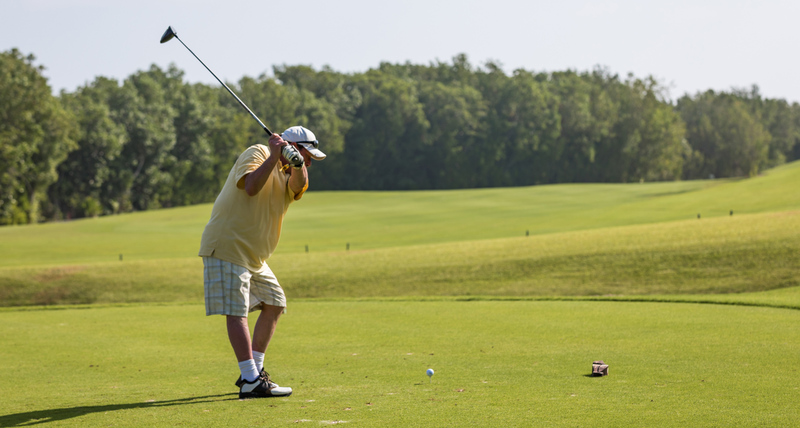 The course boasts two ocean holes with astonishing views of the turquoise waters of the Mexican Caribbean Sea and Cozumel Island. El Camaleon made golf history in 2007 when it became the first PGA TOUR event to be contested outside the US and Canada. Playing at 7,024 yards from the longest tees, this is truly championship golf at its finest. If you need to brush up on your game, their Jim Mclean Academy is the only in Latin America with high-end technology for golf instruction. Guests can compete with other Playa Crashers as we host small competitions throughout the day, with lots of festival swag and prizes! GPS golf cart and open bar provided. Explore the dazzling depths of the Caribbean on the snorkeling adventure of a lifetime! 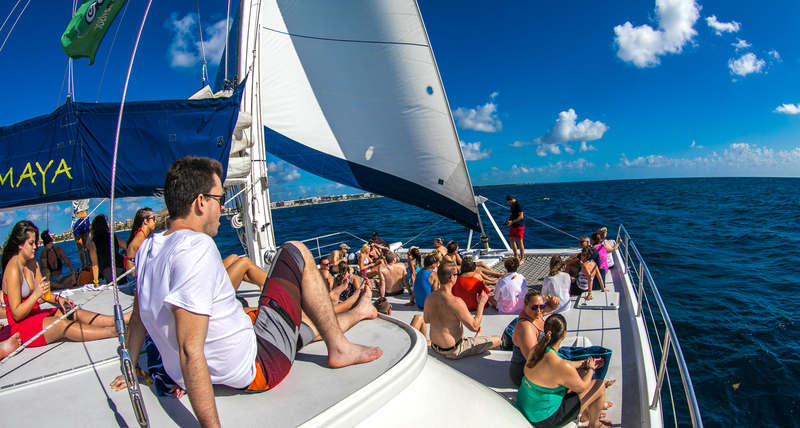 Sail from Puerto Aventuras to the second largest coral reef system in the world on a luxury 65-foot catamaran. Swim among hundreds of tropical fish species, turtles, whale sharks, and fabulous coral reefs on this guided snorkeling adventure. While you swim, a meal will be prepared on board. Enjoy an exquisite lobster or New York strip steak with a full open bar including mixed drinks, beer, margaritas, soda and purified water. Chichen Itza is the capital of the ancient Maya empire. Its majestic buildings date back to 435 and 455 BC, and it’s geographically located in the middle of the beautiful Yucatan Peninsula. At this site, declared as one of the 7 Wonders of the World, you can visit magnificent temples such as the Kukulcan Pyramid and the Pok ta Pok ball game court. 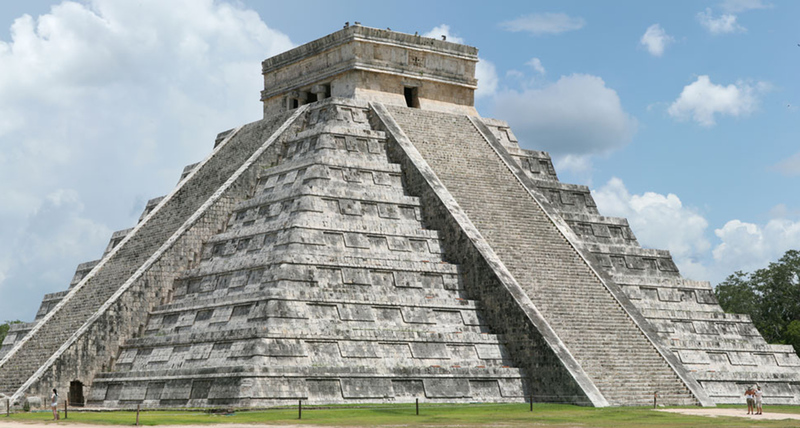 The Pyramid of Kukulcan is the most impressive temple in Chichen Itza. It’s renowned for the number of tombs beneath its endless 91 steps. If our adventures have got the explorer in you all fired up, you don’t want to miss the ultimate Jungle Maya tour. Discover the breathtaking Sistema Sac-Actun, the world’s longest underground river! 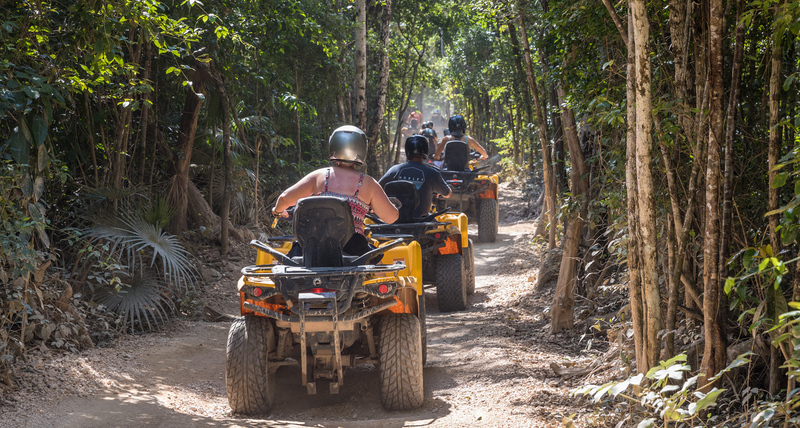 Visit this historic natural landmark and participate in thrilling local activities – snorkel in the Nohoch Nah Chiich cavern, explore the rainforest on an all-terrain Mercedes Benz Unimog, swim in cenotes, and even fly over the jungle on exciting zip lines! Giddyup! If you thought the Riviera Maya was beautiful, just wait till you get a look at what’s underneath the hood! 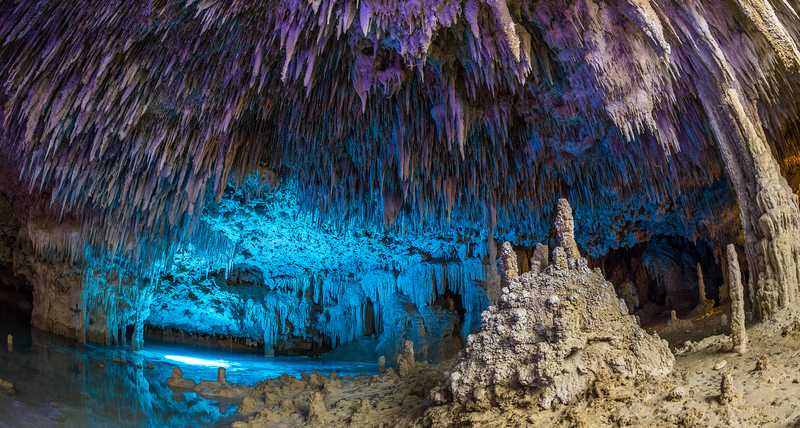 Rio Secreto is a natural underground cave filled with a kaleidoscope of speleothems. The half-mile route will take you on a journey back through the ages, and you’ll marvel in this ancient, magical subterranean world that until now has remained unexplored and untouched for millions of years. 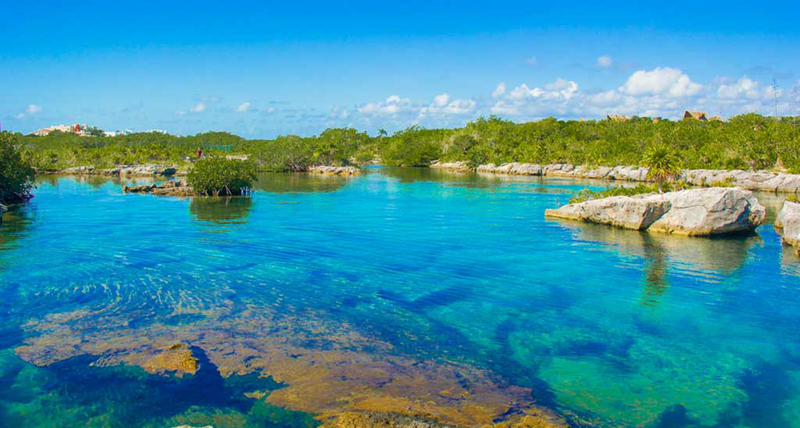 Spend an action-packed day exploring Xel-Há, the world’s largest natural aquarium park! 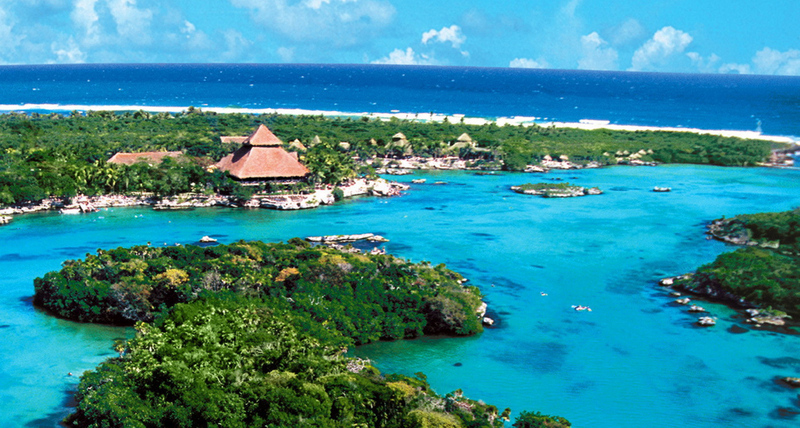 Your Xel Ha package allow full-day access to the park and more than 20 incredible activities and attractions. 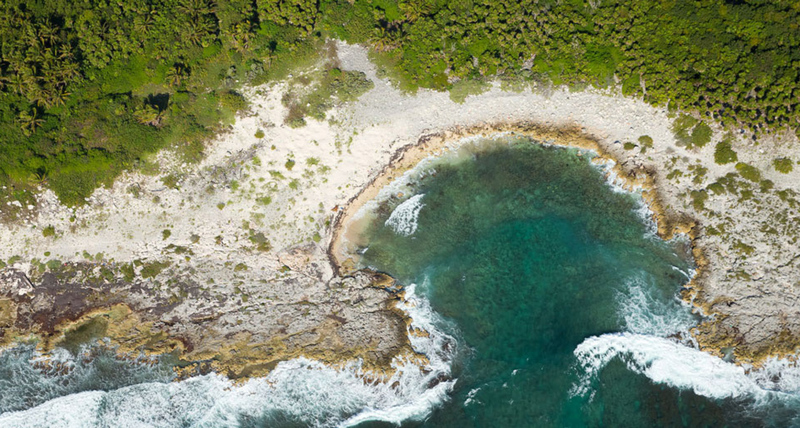 Swim and snorkel with more than 90 marine species, Huck Finn your way through cenotes and mangrove trees, cliff dive, traverse rivers on ropes and zip lines, explore the jungle by train, or just kick it with a drink on Hammock Island. As always, breakfast, lunch, and drinks are included. 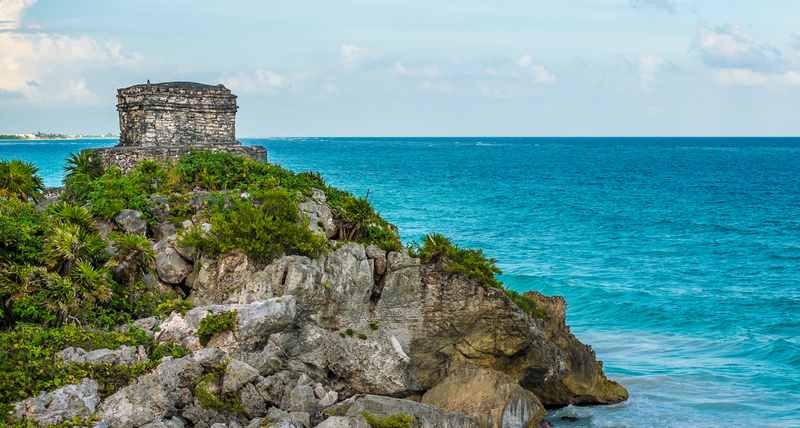 Tulum is one of the most idyllic towns on the Yucatan peninsula and a must-visit when you’re in Riviera Maya. With an extraordinary blend of unspoiled beaches strewn with clubs and bars, ancient Mayan architecture, and those languid, laid back vibes, there ain’t nowhere out there quite like Tulum. Your day starts at the famous Mayan temples, one of the last cities inhabited and built by the Mayans over 600 years ago. Tour guides are available at the entrance to the ruins area, or you can kick things off at our official Crash My Playa beach club, where you can relax on sugar white sands, enjoy a couple of cold ones or take a dip in the ocean. Tulum is famous for its lip-smacking ceviche, so we’d strongly recommend exploring the local cuisine in the town’s many fabulous restaurants and tropical shacks. Please note: food, drink and admission into the ruins are not included, only transportation to and from your resort. While space on these adventures is extremely limited, guests are allowed to reserve available adventures on-site at our Concierge Desks. Swim in one of the oldest subterranean river systems in the world! On the Paradise Lagoon adventure you get to explore the incredible Cenote Santuario de los Guerreros. Then you’ll have a one of a kind snorkeling experience at Lagoon Yal-ku where fresh subterranean waters mix with warm tropical Caribbean waters. Light snacks and drinking water will be provided to help sustain you along the way. 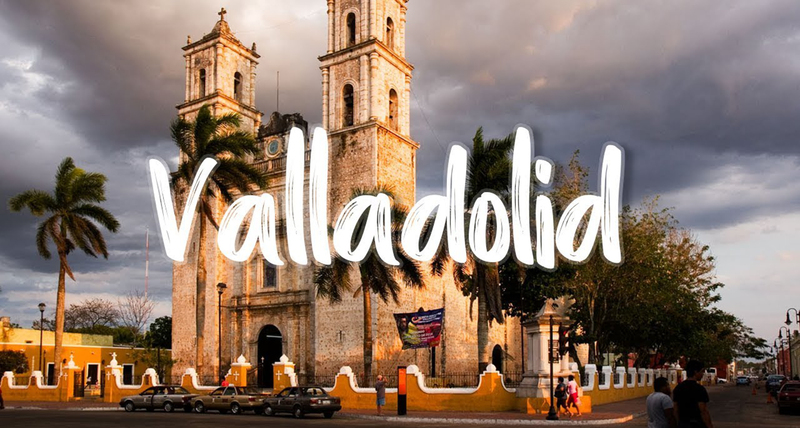 Visit the magical town of Valladolid, an ancient and colorful city rich with Mayan culture and European influence. Discover the charm of the “East Pearl”, with its colonial architecture, picturesque streets and historic squares. Here you’ll get a taste of history as you explore the city, including the impressive Valladolid Cathedral and former San Bernardino Convent; marvel at the regal details of City Hall and stop at a local museum along the way. Guests will be amazed by the majestic Cenote Maya, the biggest vaulted cenote in Mexico (over 60 meters in diameter!). Once inside, you can descend into this natural jewel and swim in crystal clear water amongst otherworldly rock formations. Those who choose to stay above ground can participate in an authentic blessing ceremony, slack-lining or even an 85 ft. Tarzan vine & rappel! A traditional buffet with organic vegetables and Mayan flair will be provided for your post-activity enjoyment. The perfect adventure after a long night of music and dancing on the beach. The Chaak Tun Eco Park is the ultimate setting for an encounter with the Mayan jungle’s impressive beauty. Your healing and wellness retreat begins with a refreshing dip into the waters of a thousand-year-old cave, full of history and magnificent stone formations. After an exciting fire ceremony, you will prepare your body and spirit for purification in the temazcal. 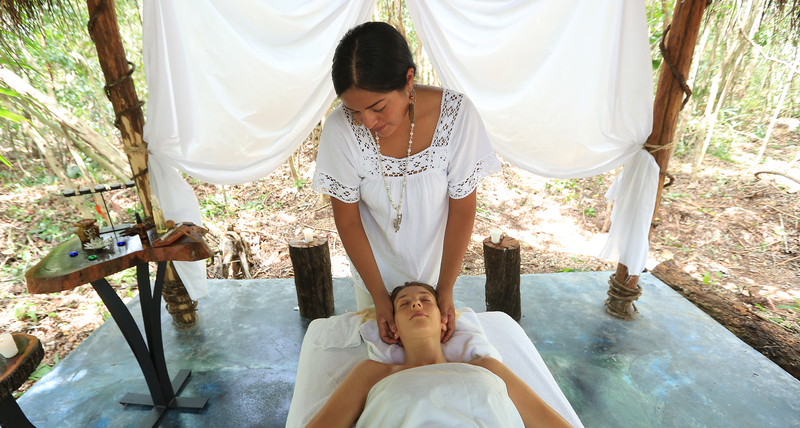 This prehispanic ritual has been used for hundreds of years for hygienic, medicinal, and spiritual purposes and offers participants the opportunity to rediscover themselves with mother earth via a steam bath that uses medicinal plants. Once your body and mind have been purified, it’s time for a gratifying and relaxing 30-minute massage…after all, you’re on vacation! Once finished, a seasonal fruit bar accompanied by fresh natural waters awaits while you share your experience with the rest of the group. Offsite adventures are not included in your Crash My Playa packages and must be reserved through the Guest Dashboard.